The news that the American evangelist Dr Billy Graham had died on Wednesday, February 21, was front page and TV news the world over. Christians and non-Christians had heard of, or seen, the man who was friend and adviser to Presidents and Royalty – and millions of people who had been to his massive crusades. I first met him in 1966 at Earls Court, London, when for a month 851,000 people heard him (including some in five close-circuit television centres) and it was the occasion when Cliff Richard also was on the platform to sing and announce he had become a Christian. I got to know Billy more in 1984 when along with a couple of other journalists I spent a few hours with him in a London hotel and it was then when I realised that this world-renowned figure was a simple, humble man who did not want the limelight except to allow it to illuminate the God he served. He told me of how, as a very inexperienced evangelist, he had been invited to meet American President Harry Truman. After the interview the young man hitched up the trousers of his white suit, knelt on the lawn of the White House and prayed, before telling the jostling pressmen all about the 20-minute interview he had had and the way he had prayed with the President afterwards. The President simmered as he read the press reports and Billy learned a valuable lesson – never talk about a private interview, especially with the famous. Since then he has met Queen Elizabeth on a number of occasions, and become friends with many American Presidents, and numerous world leaders. He agreed that over the years his messages have become “more thoughtful, with a little more content as I travel and read,” although his preaching style had hardly changed and was natural. “I have never had a speech course and never studied formal theology”. A one-time brush salesman he preached his first sermon to a bunch of Florida cowboys in 1937 and two years later was ordained as a Southern Baptist minister. Three years later he was working for Youth for Christ and visited England for the first time, visiting several towns and cities. Another three years later, a three-week crusade in Los Angeles was the announcement to the world that a gifted preached had arrived. His 12-week mission in Harringay Arena, London, in 1954 saw 11,000 in the hall each night and 120,000 at Wembley for the final meeting. 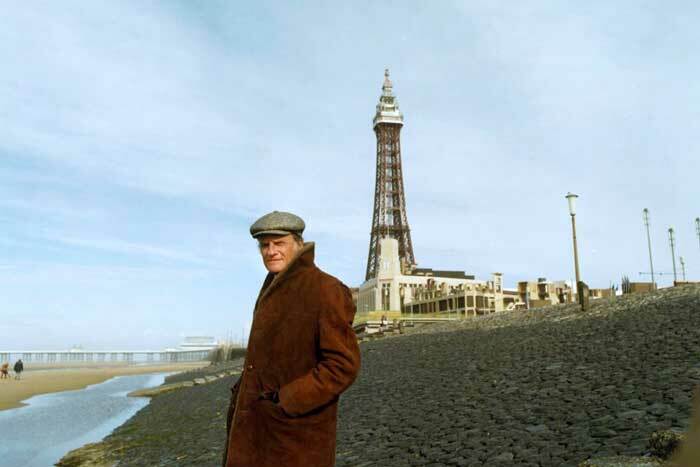 He has returned many times since, including major cities in the North – most memorably being to Blackpool in 1982 and a cold night in Sunderland in 1984 when he wore a good old northern cap to shield the rain. He has always been a man of integrity, honesty, and humour. When I spent time with him in his London hotel it was so that he could quiz me about the state of religion in this country prior to his meetings. Good for my ego, but I hardly think he needed me and my colleagues such was his grasp and understanding of world events which was very obvious in every message he preached. The only time he had a hiccup in his preaching was when the Harringay meetings in London took off and he ran out of sermons. Canon Tom Livermore presented him with a copy of Thomas Watson’s A Body of Divinity – a 17th century puritan volume, and Billy used it as the basis for three weeks preaching on the Ten Commandments. Never again was he caught short. That was the measure of the man. He could be helped but in his ministry he was able to help millions come to terms with their relationship with God. He will Rest In Peace.